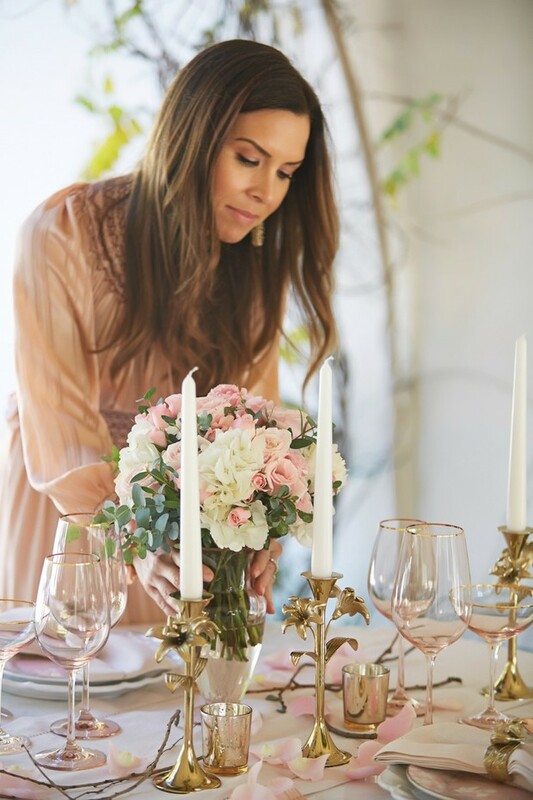 If you’re a bride, you’ve probably dreamed about Monique Lhuillier having SOMETHING to do with your wedding at some point in your engagement. 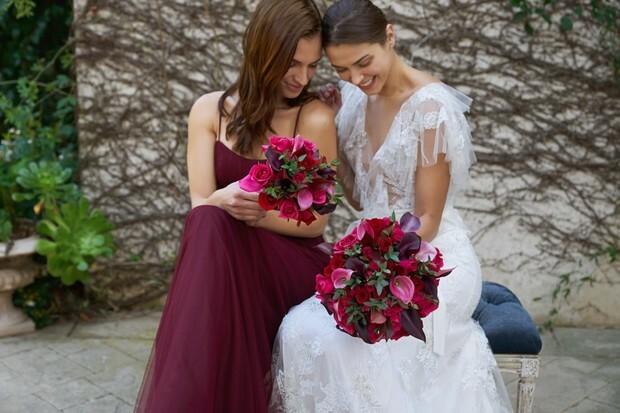 A stunning gown by her would be 👌👌👌, but let’s be honest, we’re not Lea Michele, we don’t have ML on our style speed dial 😭. 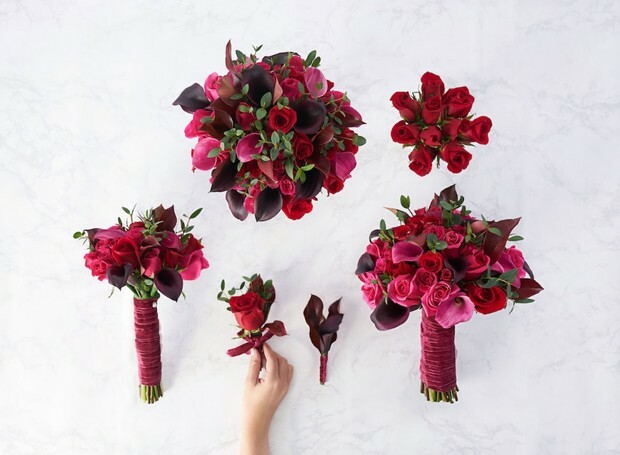 That’s why we were sooo excited to hear about the designer’s latest collab with leading online floral retailer, The Bouqs. 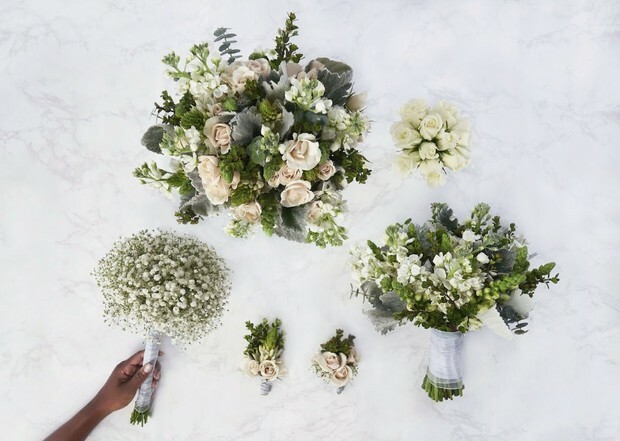 Yep, wedding flowers, perfect, dreamy ones curated by one of our ultimate girl crushes in the world of I Do. A little bit more about what’s in bloom. 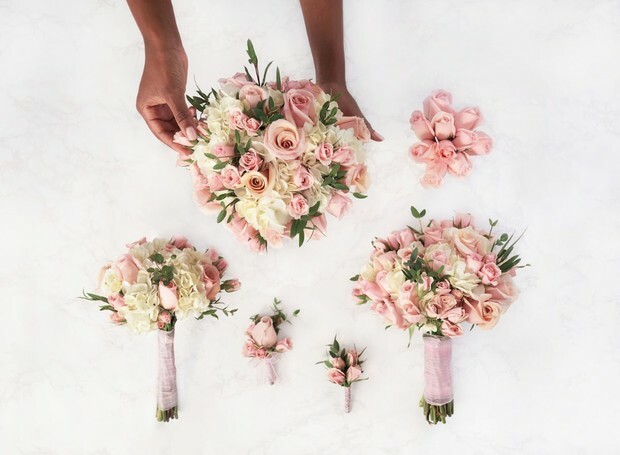 This freshly-picked wedding collection - launching for real later this week - features four packages that resonate with every petal-loving bride. 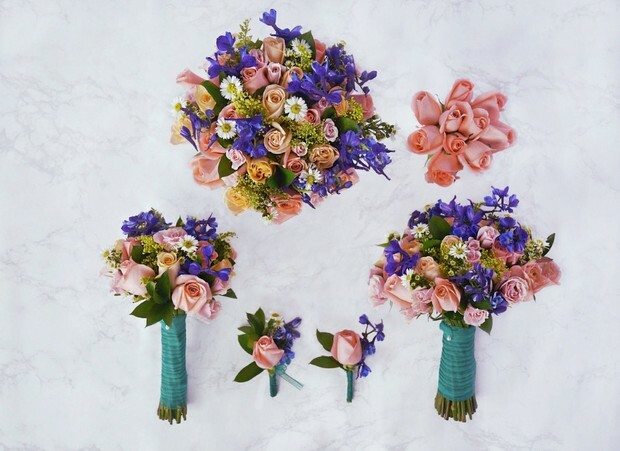 Their names: Sincere, Opulence, Embrace, and Jardin are so decadent, yet delicate, feminine, but not too “flowery,” and each package includes pre-arranged bridal bouquets, bridesmaid bouquets, centerpieces, corsages, and boutonnières. 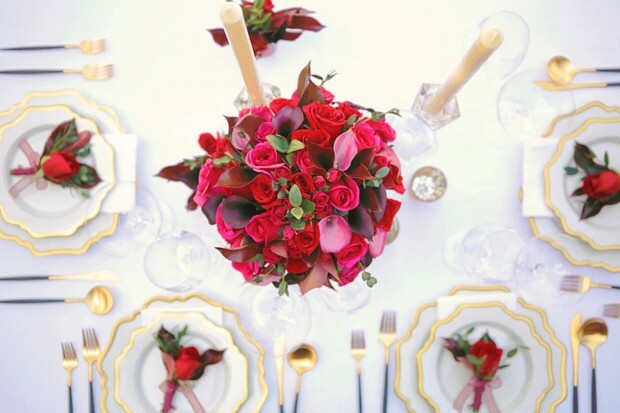 Essentially everything you could wish for in your wedding florals. You have three piece combinations to choose from, too: 10 pieces for $399, 20 pieces for $699, and 40 pieces for $1,350. Even at the largest commitment level, you’re still spending less than $2,000, which is pretty sweet. I’m usually a mix of Sincere and Embrace, but opulence and Jardin are really doing it for me. And here’s the vision-boarding behind each vibe. Bring your fairytale to life. 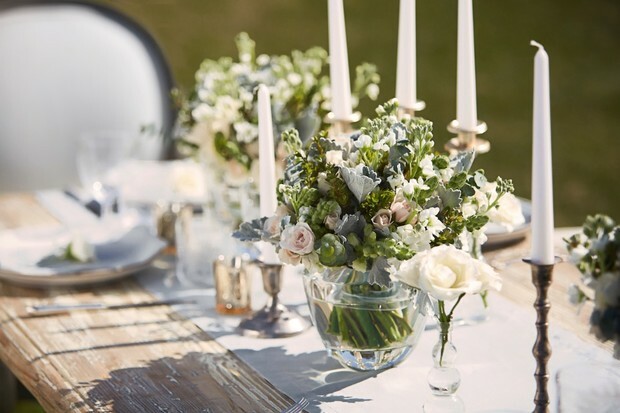 With white hydrangeas, mother of pearl roses, and silver dollar eucalyptus, this charming collection is perfect for the timeless bride who considers every exquisite detail on her wedding day. 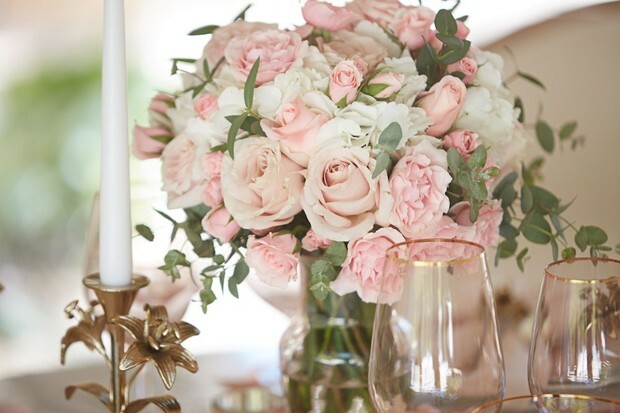 With a splash of color and a touch of originality, this lively combination of pink and peach roses, white aster, blue delphinium, and blush spray roses creates a signature look for the bride who makes a statement. Which look do YOU love??! 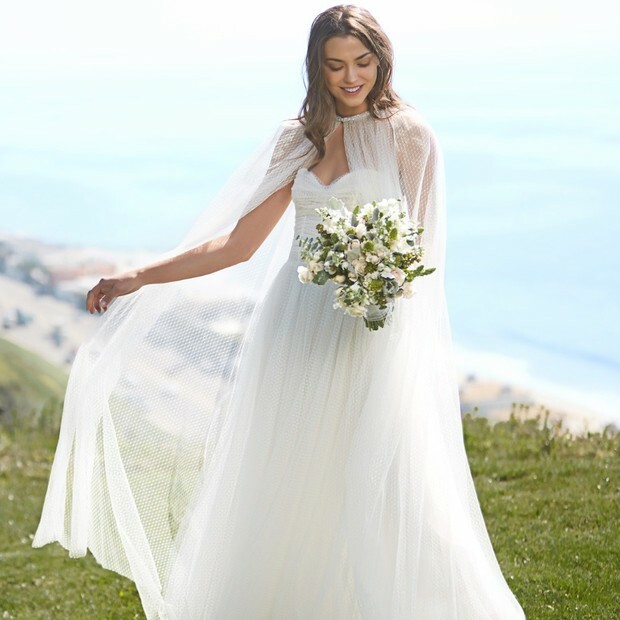 Summer brides, if you still haven’t locked down flower power for your wedding day, then this Monique Lhuillier x The Bouqs Co. roll out is juuuust right for you!